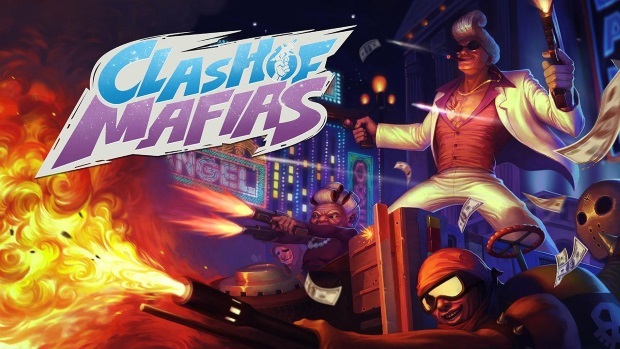 Global game developer and publisher IGG (I Got Games) has released their latest mobile game Clash of Mafias today, now available for download for Android devices. Clash of Mafias unfolds in a sin city where the darker side of humanity prevails. Players start off as an ambitious and cunning gang member in a dystopian city brimming with danger and surprises. They must fight and work their way up the ranks to conquer other gangs and become the ultimate Mafia Godfather. Battles take place in Turf Wars, where players engage in gang fights, raid turfs, and extort money to expand territory. Players command a team of Henchmen and Bosses, each with their own unique set of skills, strengths and weaknesses. Manipulating the combination and placement of Bosses and Henchmen in Turf Wars is the strategy for success. Techs – Unleash powerful Techs for an extra edge in battle. Techs can be obtained and upgraded by unlocking the Arsenal! Bosses (Heroes) – Form combat units with Bosses and Henchmen (minions) and send them out on raids. Each Boss and Henchman has unique skills and talents, which form countless team combinations! Traps – Build Traps on your territory. Traps are defense mechanisms that activate and inflict damage when enemies get too close for comfort. Pits – Conquer the Pits by taking on powerful opponents with five of your strongest Bosses in a three-lane arena. Study your opponent’s defenses and place your Bosses wisely to overpower them. You have only one objective: wreck their base before they wreck yours! Turf Wars – Integrating PVE, PVP, and Arena-style combat into one single entity. Commit atrocious crimes on your turf to earn cold hard cash while expanding your power! Plants vs. Zombies Garden Warfare 2 - 10 Hours Free!